The objective of this section is not to show you all species of our collection in detail, but above all, to give you access to a regional data base, more exactly coming from the Centre - Loire area in Middle France. 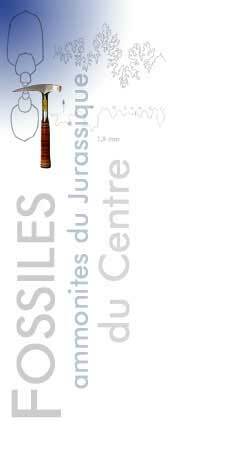 Only the Jurassic period is described with characteristic ammonitic faunas. The ammonites of this site only come from Middle France. Two departements are concerned : Cher and Nièvre. Our choice was voluntarily made on fossils, collected in transitory layers, updated during significant workings or resulting from quarries filled today. To leave a trace of this geological heritage while making it available to the greatest number became in our eyes a priority. 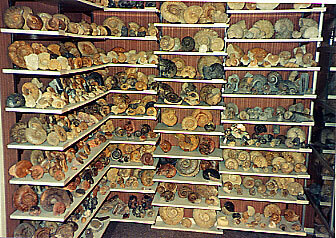 It goes without saying, that the lists of the ammonites are far from being complete. Either we did not find the species in the quoted layer, or the page was too heavy to load!